Winter in New Zealand is an exciting time for those who love snow sports. As one of the most popular countries for skiing and snowboarding in the southern hemisphere, Olympians head to NZ every year to continue their training. But winter sports in New Zealand aren’t just for the professionals as many of the ski resorts are suited for recreational use. Thanks to the many beautiful and easily accessible ski resorts, going on a winter ski holiday in New Zealand is extremely popular. 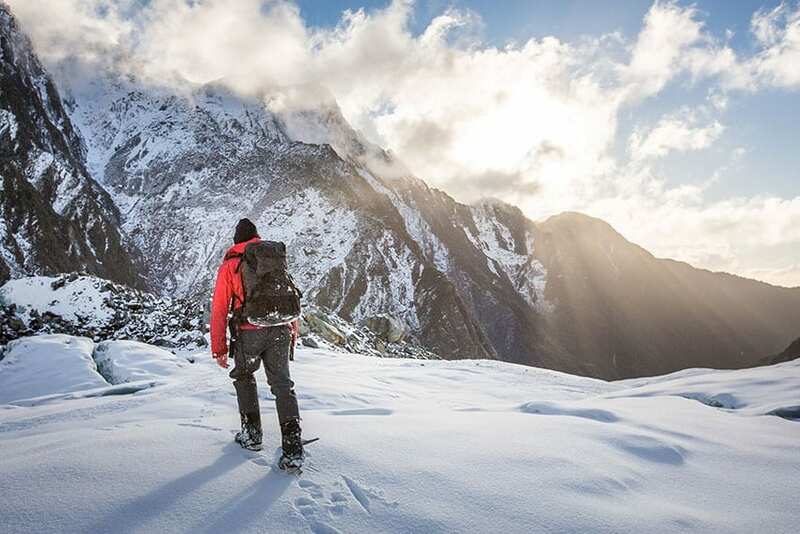 In fact, winter is just as busy as the summer for tourism in certain areas of New Zealand! If you are considering going snowboarding or skiing in New Zealand this winter, then you will need to decide where exactly you want to go! With various ski resorts spread throughout the country, it is hard to know where to base yourself. So, in this blog, we reveal some of the very best places to go skiing in New Zealand! Mount Ruapehu is a massive mountain located in Tongariro National Park. In the summer months, this area is very popular for hiking, but in the winter, it becomes a skier’s paradise! On Mt Ruapehu, there are two commercial ski resorts, Whakapapa and Turoa which are both operated by Ruapehu Alpine Lifts. Whakapapa ski field is located on the north side of the mountain and is most easily accessed from Whakapapa Village which is a very small town within the national park. Turoa Ski Field is located on the southern side and best accessed from the touristy town of Ohakune. These two ski resorts combined together (it is possible to traverse from one to the other) form New Zealand’s largest ski area with 20 different lifts and 101 named runs! 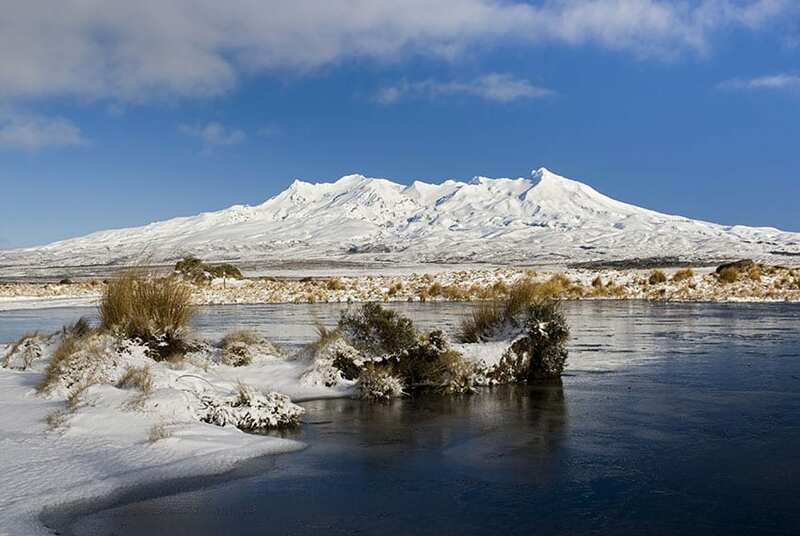 Related: Our Mt Ruapehu 5-Day Ski Tour from Auckland is the perfect mix of skiing or snowboarding as well as seeing some of the best North Island attractions! Just outside the city of New Plymouth is the massive volcano, Mt Taranaki. If you want to ski on a dormant volcano as opposed to an actual mountain then Taranaki is for you! The ski field on Mt Taranaki is called Manganui. Manganui ski field is smaller than many of the other places to go skiing in New Zealand, but is often much less busy. The runs are more suited to intermediate and advanced skiers as there are limited runs for beginners. Manganui is also one of the cheapest NZ ski fields as it only costs $50 NZD for a full-day lift pass. Its convenient location close to New Plymouth also makes it easy to find accommodation and other things to do. In fact, you could go skiing and swimming at the beach on the same day in this area! Queenstown is easily the most touristic town in all of New Zealand. In the winter Queenstown is full of vacationers hitting the slopes. With two different ski fields right on its doorstep, Queenstown is the perfect place for skiing in New Zealand! 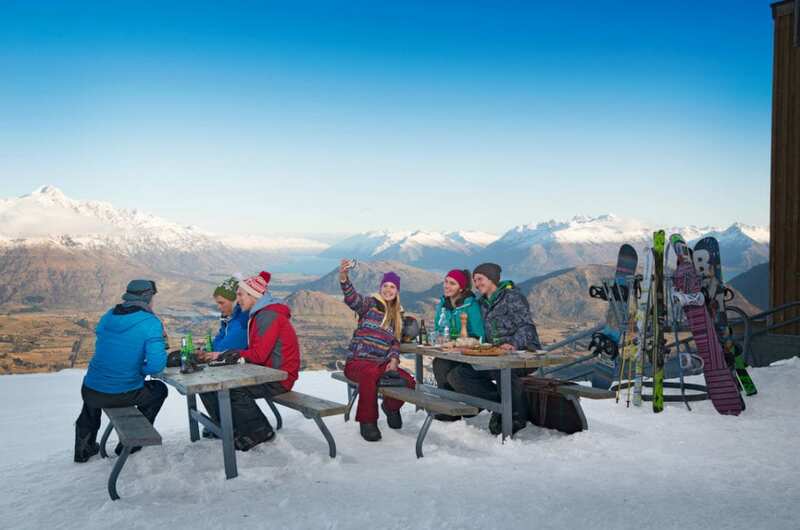 The closest ski resort to Queenstown is Coronet Peak which is located only a 20-minute drive from Queenstown town centre. Coronet peak also offers night skiing a few times a week where huge flood lights guide the way in the dark. There is always live music or a DJ and it is New Zealand’s only night ski allowing to stay on the slopes until 9 pm! The Remarkables are the next closest ski field to Queenstown. From the town centre, it is about a 45-minute drive to the top of the Remarkables. The Remarkables ski field also offers a terrain park which has tons of jumps, rails, and boxes for those looking to do some tricks! There are 7 lifts and plenty of named runs but there are also lots of backcountry runs for exploring. The views of Queenstown and the Southern Alps from the top of the Remarkables is incredible! If you plan on going skiing in Queenstown then keep in mind that you can buy passes for both Coronet Peak and the Remarkables together as they are owned by the same company! So, while you’re in Queenstown you can easily check out both ski resorts! Related: To get the most out of a ski trip in Queenstown consider booking our 7-day Remarkable Queenstown Ski Tour! Only an hour from Queenstown is the smaller and less busy town of Wanaka. 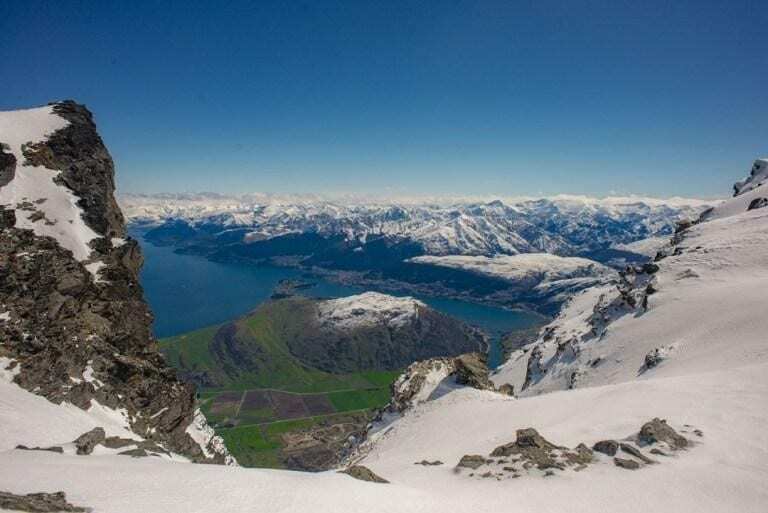 Wanaka is the closest town to the most famous ski resort in New Zealand, Cardrona Alpine Resort! 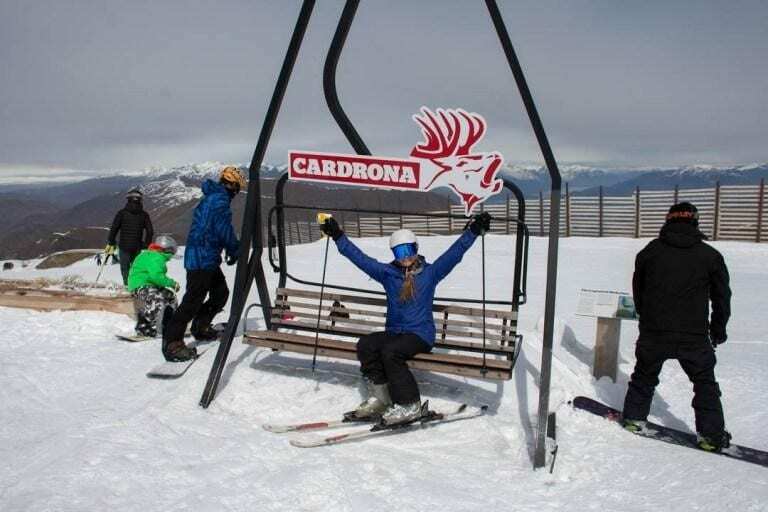 Cardrona has 6 lifts, 7 terrain parks, as well as a huge seating area with various places to buy drinks and food. Cardrona is often where the pros come to practice, but there are also plenty of runs and space for beginners to learn. Since Cardrona sits at nearly 1900m in elevation they often get the most snow and are open first and last for the winter season. Another amazing ski resort is located near Wanaka, it is called Treble Cone. 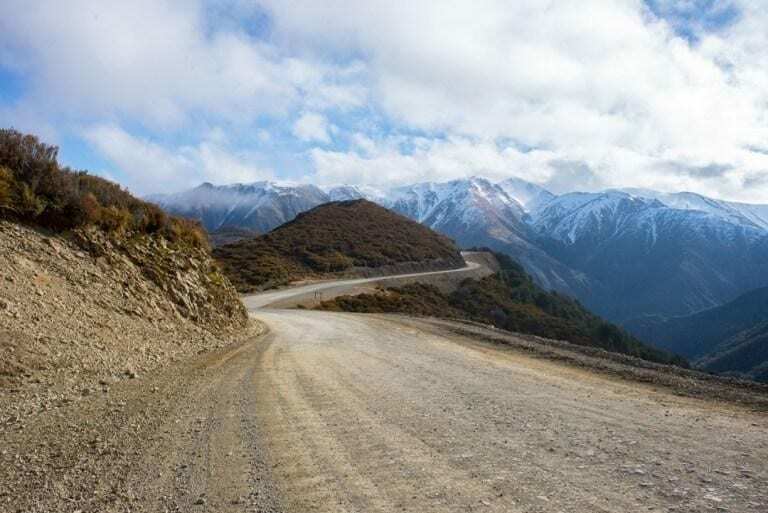 Treble Cone is also close to Wanaka and only about a 35-minute drive away. Treble Cone is best suited for intermediate or advanced skiers and snowboarders. It also has the longest vertical rise in the Lakes District. It is also possible to visit Coronet Peak or the Remarkables ski fields from Wanaka, the drive is just longer than from Queenstown. Christchurch is the largest city in the South Island and there are also plenty of ski fields nearby. The international airport makes it an easy place to start any skiing holiday in New Zealand. Mt Hutt is the largest ski field near Christchurch. From Christchurch to Mt Hutt is about a 2-hour drive. If you don’t want to make this drive, choose to spend a night or two in the small town of Methven instead. Mt Hutt is a popular place to ski among local kiwis. For this reason, on the weekend it gets very busy but is also very fun with lots going on including live music! There are plenty of runs including an awesome green run for beginners. The views from the top of Mt Hutt are amazing and even you don’t ski, it’s well worth checking out! 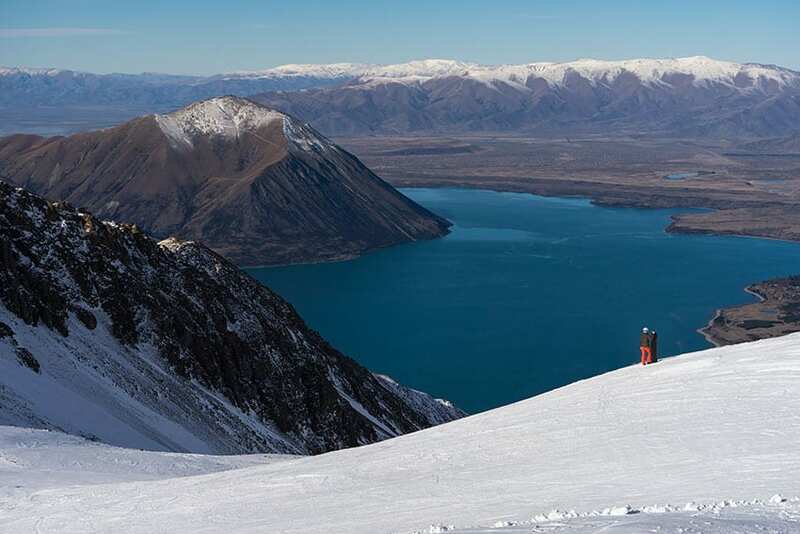 Another awesome place to ski on the South Island is Ohau. This tiny ski field is off the beaten track and only has one chair lift. That being said, its remote location and size mean it is never very busy and very affordable to visit. Ohau ski field is located outside the town of Ohau along State Highway 8. This highway connects Lake Tekapo (and Mt Cook National Park) with Wanaka and Queenstown. This makes stopping at Ohau along any road trip very easy! Related: Check out our 7-day South Island Skiing Hot Spots Tour that takes you the places to ski from Christchurch all the way to Queenstown! Of course, if you are more into backcountry skiing then consider going heli-skiing. From any of the places mentioned above, heli-skiing tours can be organized and it is sure to be an exciting alternative to visiting popular ski resorts. Overall, Skiing in New Zealand is a popular activity, and if you stick to some of these amazing places mentioned above, you won’t be disappointed! At The Road Trip, we offer specialized ski tours for those looking for a winter holiday in NZ. Check out all of our ski tours and contact us today!